Galleria Franco Noero is pleased to present the fifth solo exhibition of Canadian artist Andrew Dadson. SHADE features a series of brand new works that use light to continue Dadson's extensive experiments with abstraction and space. The site-specific installation especially conceived for the gallery in residence space is composed of three works all using a minimalist grid of painted fluorescent lights that have been almost completely obscured by a thick layering of paint. 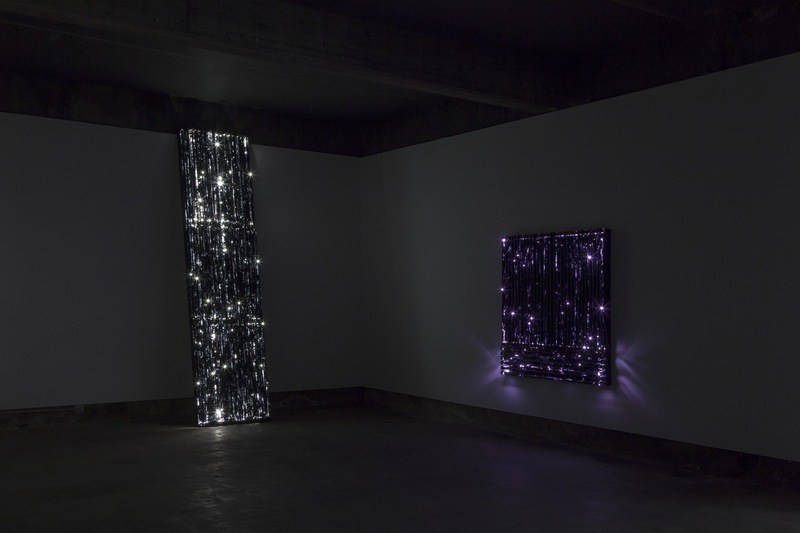 Constructed by a sequence of lights where pinpricks of light escape from the brushstrokes, the three works provoke an effect of obliteration, like if it was the vanishing of the sun. Each work within the room would be intensly bright without the effects of the paint and would be almost too bright to look at. In the work Constellation (Grow Lights), lights that are used for growing plants have been painted over to block out almost all of the UV light creating a contrast to the lights original intention. 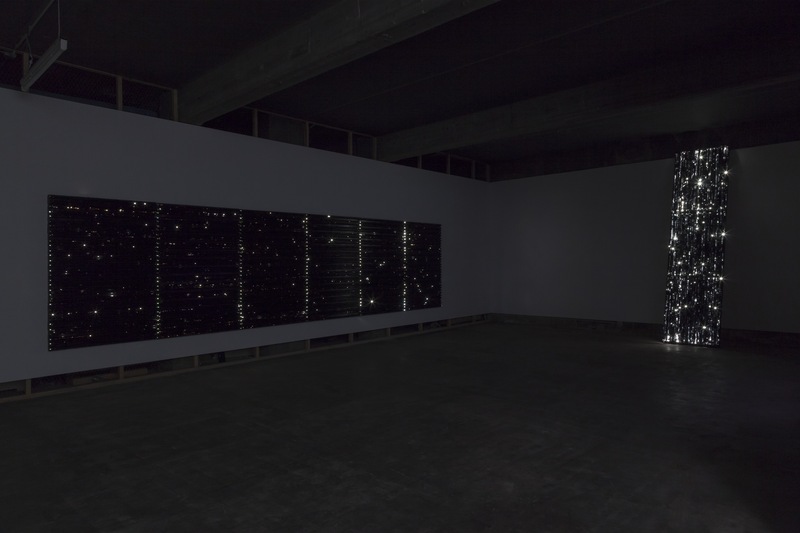 Only with the actions of Dadson does he create a cosmic space where the energy of the industrial lights that usually function to make it impossible to see the night sky within the city create their own unique constellation. The installation creates a place for meditation, where the intense pull of the lights draws one closer to reveal the texture and build-up of paint while making evident the energy contained within the lights. Andrew Dadson lives and works in Vancouver. 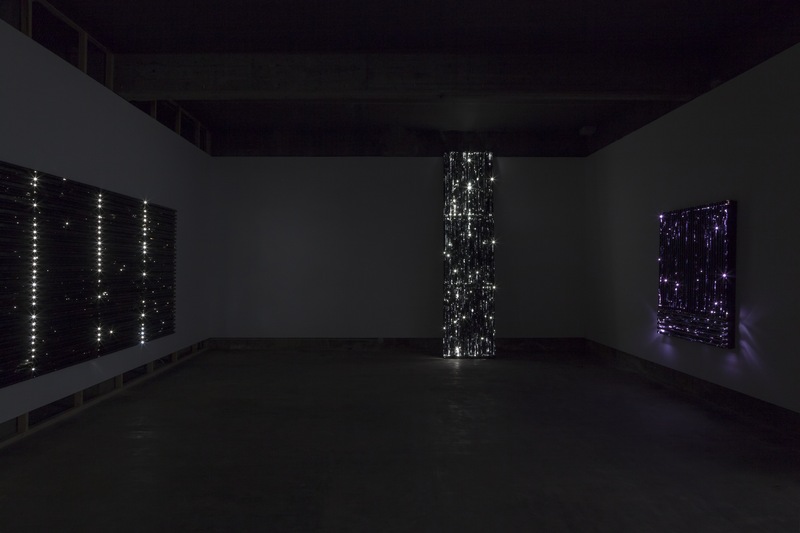 Recent solo exhibitions include Andrew Dadson, ‘Site for Still Life’, Contemporary Art Gallery (2017); Painting (organic), David Kordansky Gallery, Los Angeles (2015): ‘Over the Sun’, Vancouver Art Gallery, Vancouver (2015); ‘The Brink’ Andrew Dadson, Henry Art Gallery, Seattle (2012); ‘Evening all afternoon’, Charles H. Scott Gallery, Vancouver (2007). Selected group exhibitions include: Summer 2016: Collection Works, Rennie Collection at Wing Sang, Vancouver (2016); Art Parcours, Art Basel, Switzerland (2016); Phantasmagoria, Presentation House Gallery, North Vancouver (2012); WYSIWYG: What You(ngs) See Is What You Get, Rosenblum & Friends Collection, Paris; On the Nature of Things, Kamloops Art Gallery (2011); Without you I’m Nothing, Museum of Contemporary Art, Chicago (2011); Che cosa sono le nuvole?, Opere dalla Collezione Enea Righi, Museion, Bolzano, Italy (2010); Summer Projects, Olympic Sculpture Park, Seattle Art Museum (2010); Nothing to say and I am saying it, Kunstverein Freiburg, Germany (2009); dedicated to you, but you weren’t listening, The Power Plant, Toronto, (2005); I am a Curator, Chisenhale Gallery, London (2003). In 2011 Dadson won The Brink Award 2011, The Henry Art Gallery, Seattle. Dadson is represented by Galleria Franco Noero, Turin, Italy and David Kordansky Gallery, Los Angeles, USA.